How to know if your email has been opened? First things, first. Make sure you have enabled Email Tracking in your outbound emails. 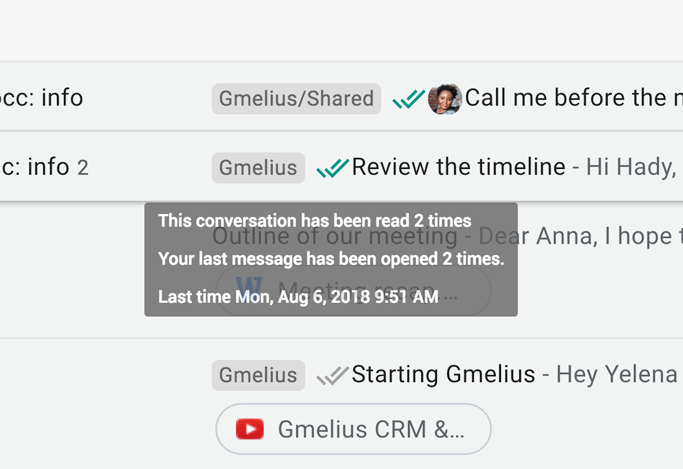 For all sent tracked emails, Gmelius offers multiple ways to inform you of your email opens. For when you need to see in real time all your email opens. Gmelius' email tracking flags each open, and reopen of your tracked email. 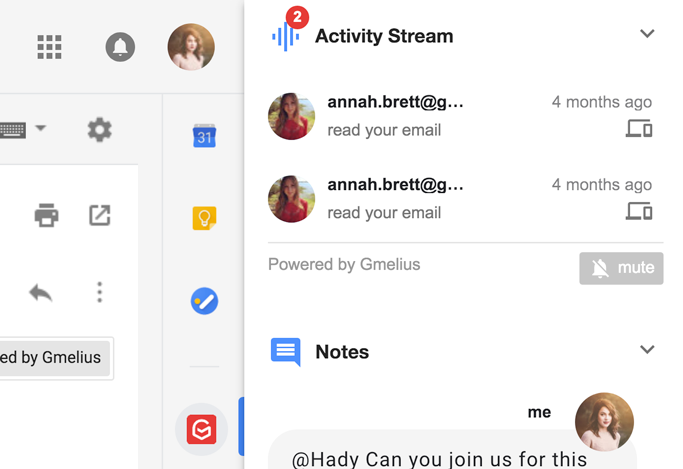 This way, soon after the message is opened & read, Gmelius will send you a desktop notification that the recipient has read your message. Additional Perk: Desktop Notifications for Specific conversations can be muted at will. 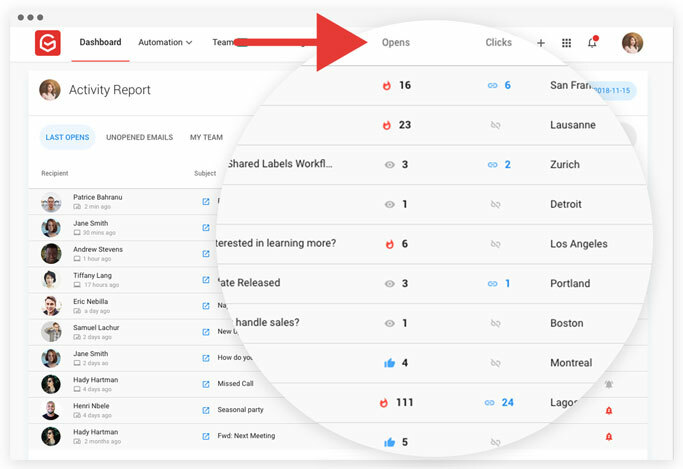 For when you need to see in a glance which emails have been opened from your email list view. You can also just keep an eye at all times on email opens by taking a look at the double tick icon associated with your tracked-emails. In emails that have been opened, the double tick appears next to the name of the recipient. By hovering your mouse cursor over the icon, you get a short summary on when and how often a particular email has been opened. For a detailed report and insights on your tracked emails. Accessed via your Gmelius Dashboard (gmelius.io), your detailed activity report will offer you an overview of your tracking activities with detailed metrics and KPIs for set timeframes of your choosing. Detailed Email Activity listing in detail all events triggered by tracked emails (for both opened and unopened ones). This list gives details of every email open with the name of the recipient, the subject line of the email when the open took place and where. For business subscribers, this information is enriched with details on clicks and unique recipient opens. Nota Bene: Exclusively available for paid Gmelius subscribers. Every time you open a tracked conversation, you’ll know when your message has been opened and get a recap of the tracked activity on the right sidebar. How to enable per-recipient tracking? How to mute desktop notifications?